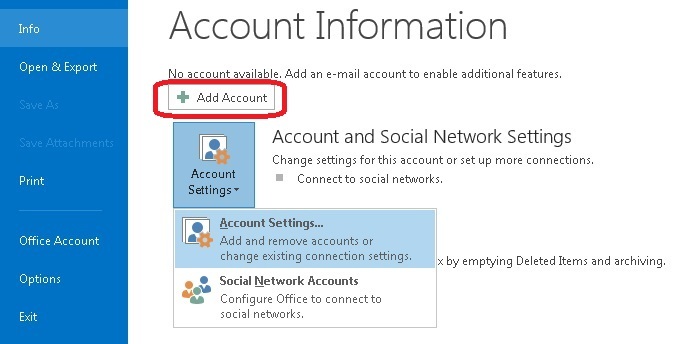 Before you begin setting up your email account in Outlook 2013, it’s important to remember your email, the password you provided when you created your email inside Plesk, as well as the Incoming and Outgoing Mail Server information. 2. On the dialogue box that opens your’ re going to fill in your Name (personal, business or whatever name you like), Email (fill in the Email address you’re looking to set up), Password & Re-Type Password. Tick on "Manual Setup or additional server types” and then click on "Next”. 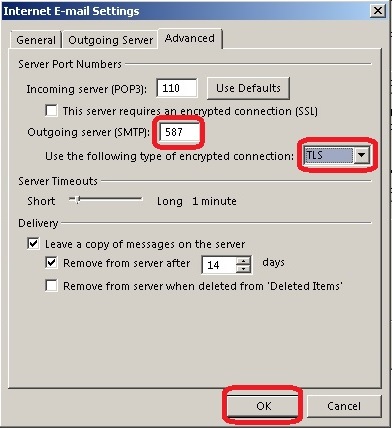 - Outgoing server (SMTP): 587 (many ISPs block port 25) and activate encrypted connection TLS. If you face a problem, change again the port to 465 and activate SSL. Click "OK” and you’re all set! Note: If you’ve recently installed the nameservers of your hosting, please keep in mind that it will take about 4 - 48 hours for your website to appear online, as the ISPs will need to update their databases. 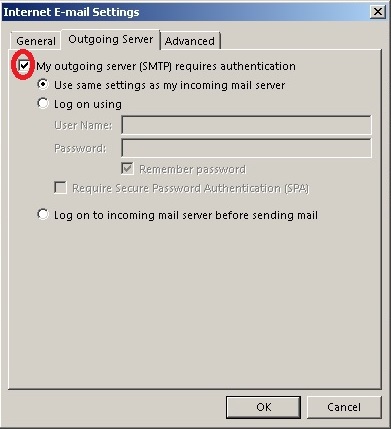 If the nameservers had already been installed before, your email will start working the moment you create it. But, if you still face problems with your email, it is important to make sure that no software or hardware firewall prevents your communication with the server. 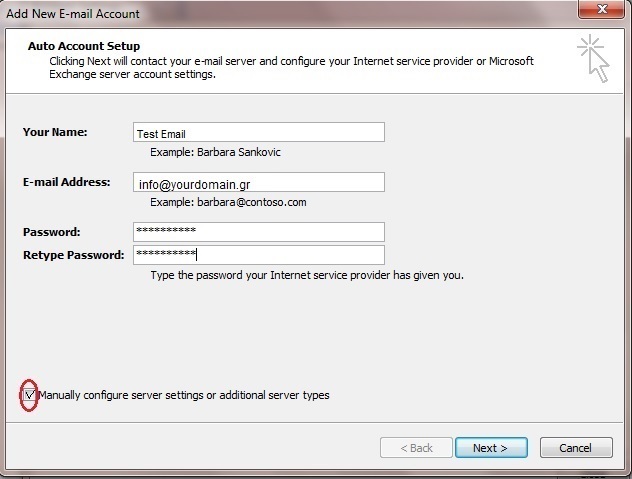 If you don’t have access to the webmail or management of your web hosting (Plesk Parallels Panel) please send us your public IP to test if there is possible blocking from our server’s firewall. You will find your public IP here: http://whatismyipaddress.com. 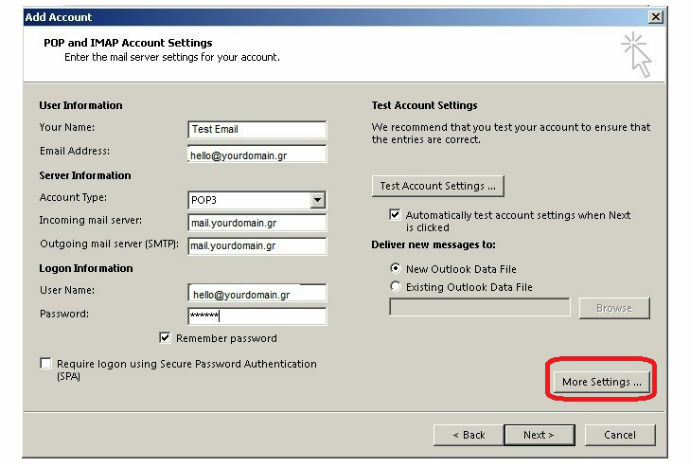 You can also check webmail.yourdomain.tld to find out whether the email address works properly. 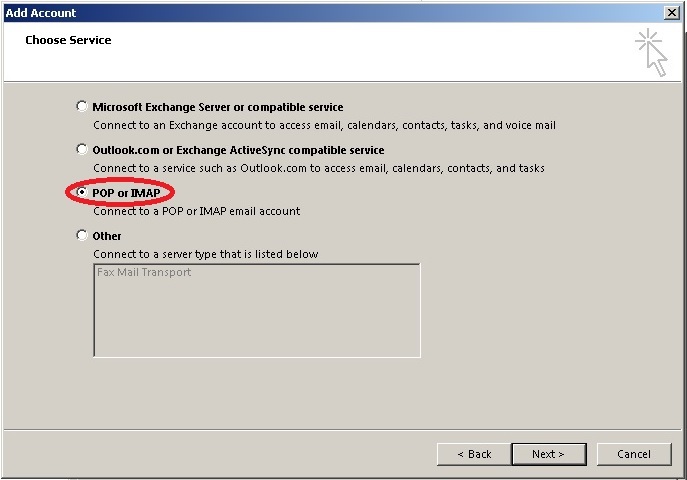 If you can access the service via webmail but not through an email client, then it’s likely that there is a problem with the email client’s settings.